It allows you to play each course once. 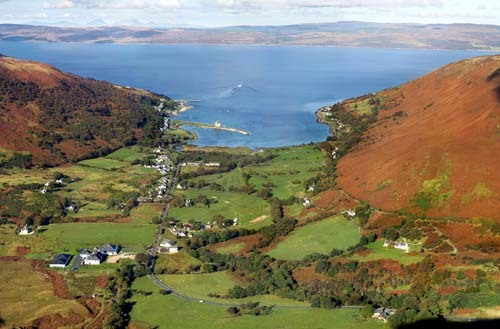 Machrie Bay is the closest course to Willow Cottage, being only about 6 miles down the coast from Whitefarland. 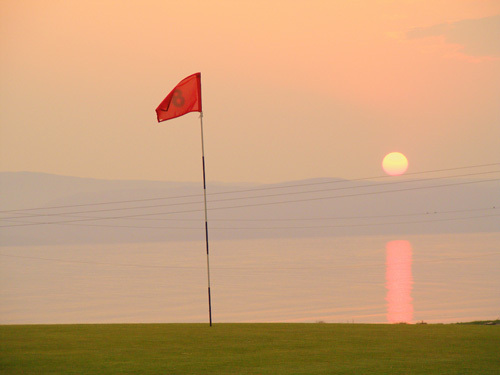 It is a 9 hole course next to the sea, is fairly flat and suitable for all types of golfers, especially beginners. Families are made very welcome. serving superb home cooked food. Also, a tennis court, putting green and a childrens play area. 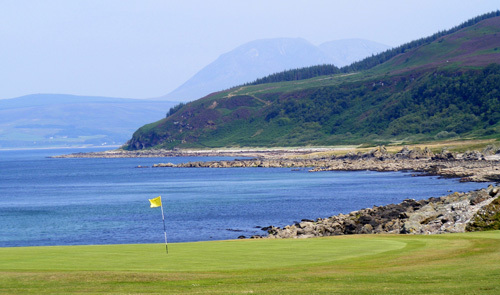 Shiskine in Blackwaterfoot, just another 4 miles down the coast from Machrie, is probably the best know course on Arran. 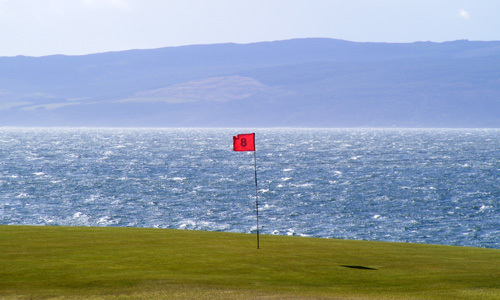 It is a unique 12 hole links course, that has had much written about it, including part of "Preferred Lies" by Andrew Greig. 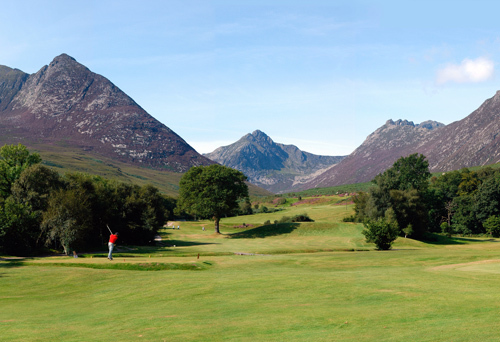 Corrie Golf Course is a very scenic 9 hole layout at Sannox. 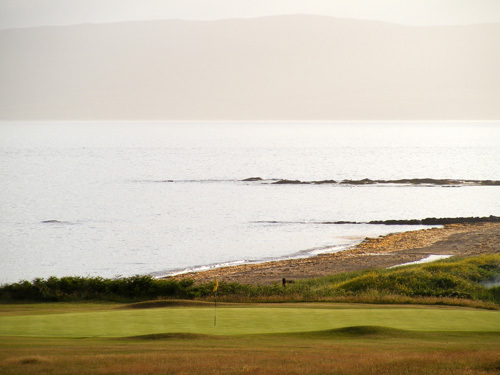 The views are fantastic and the greens are arguably the best on the Island. It is a short course and also fairly hilly. There is an excellent Tearoom there. 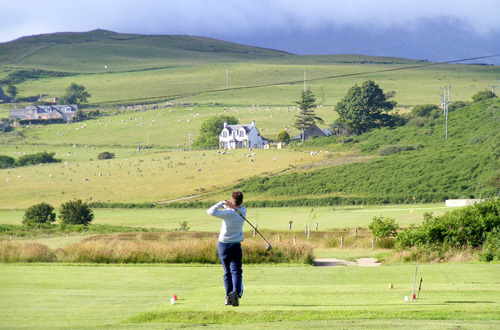 Lochranza is in a stunning setting, with 9 holes, it is one of the toughest courses on the Island. 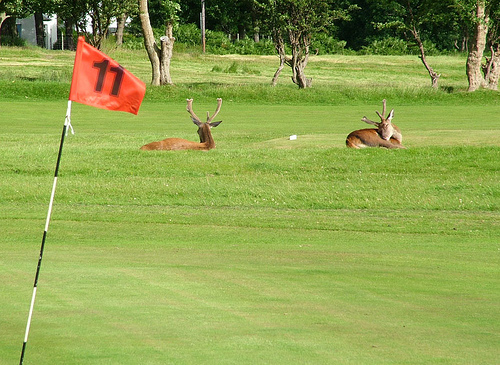 You may see some deer while you play round. are located in the most populated part of the Island. 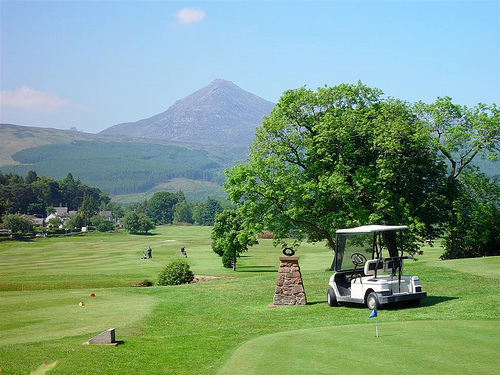 Brodick is a flat 18 hole parkland seaside course with nice views towards Goatfell & Brodick castle. It has some great holes including 2 over the Rosa burn, & a superb par 5. Also the 8th, which requires a high draw landing on a tiny elevated green that is the size of a snooker table with Out of Bounds lurking!! 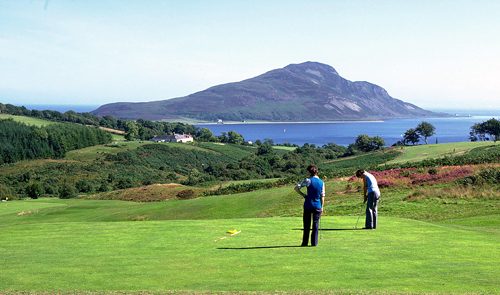 Lamlash is a hilly 18 hole course that will test all levels of golf. There are some great holes (all are very different), with some extremely difficult par 3's off the yellow tees. If you have a single figure handicap, then you should play this course. 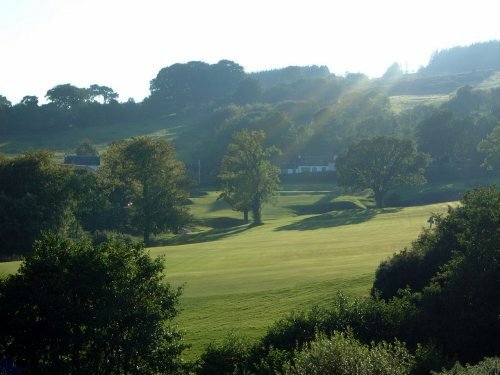 It has an excellent clubhouse, with a great out look over the 18th green and up the 1st hole. 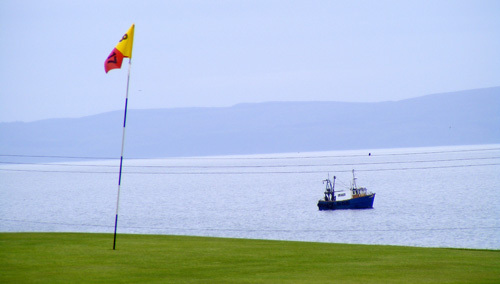 Whiting Bay is a hilly 18 hole course with lovely views over the Firth of Clyde. Some very interesting holes, with a must see 17th green & a very strong finishing hole where par is an excellent result. You are assured a warm welcome.